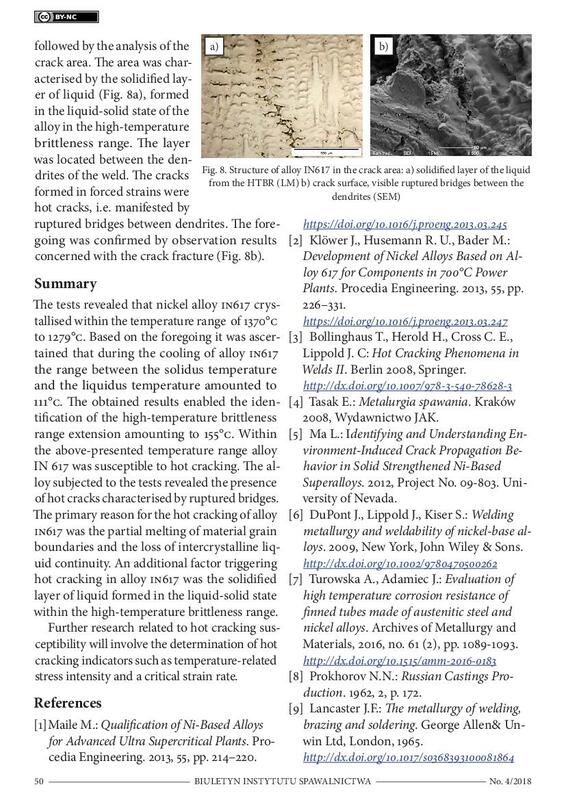 The article presents test results concerning the friction stir welding of 6 mm thick plates made of aluminium EN AW – 6082. 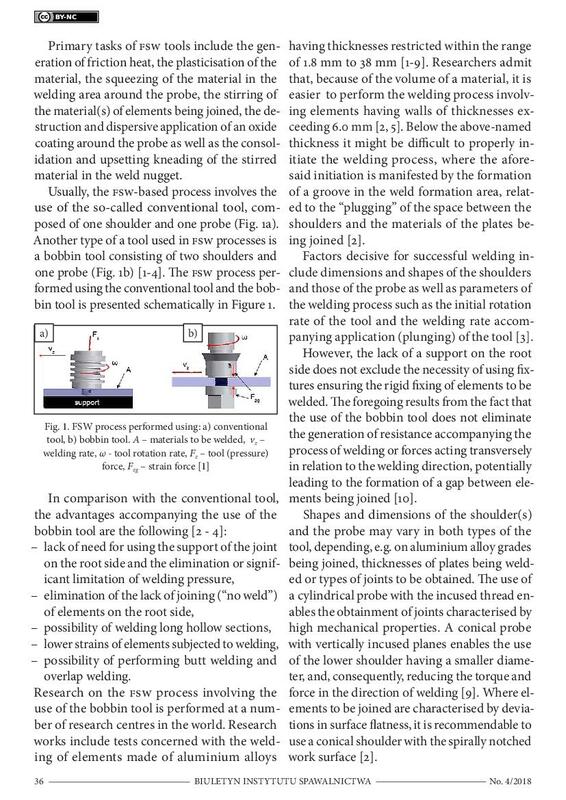 The welding process was performed using a tool consisting of two shoulders and a probe. 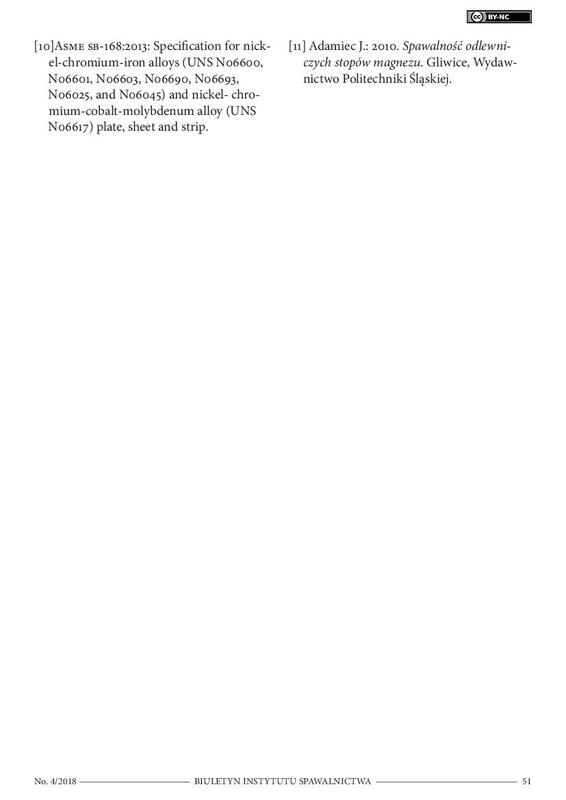 The tests were concerned with the effect of welding parameters in the process of welding and the quality of joints. 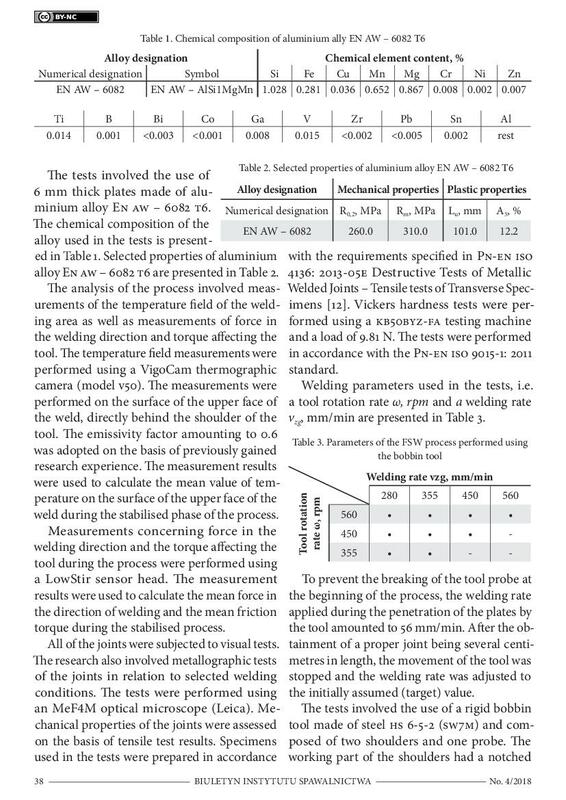 Related visual test results enabled the assessment of the effect of a bobbin tool on the formation of a weld, the presence of surface imperfections and the continuity of material in welds (based on metallographic tests). 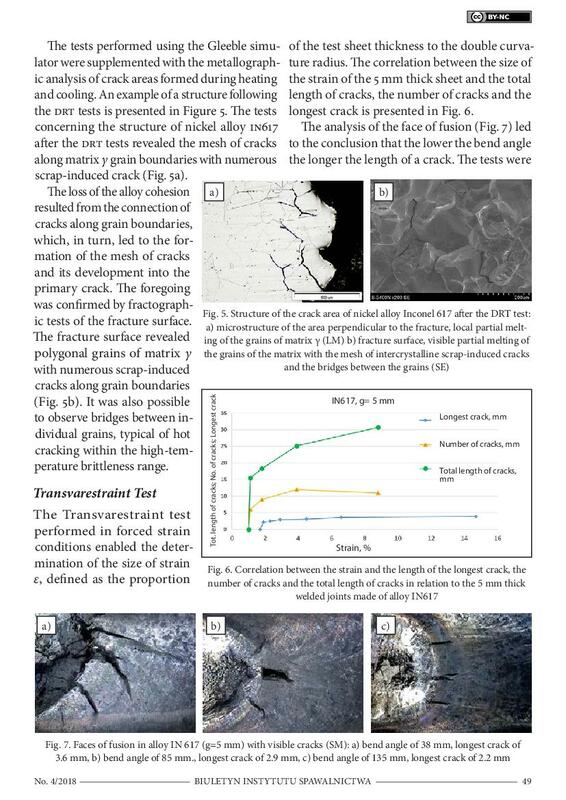 Mechanical properties of the joints were identified in static tensile tests and in hardness measurements. 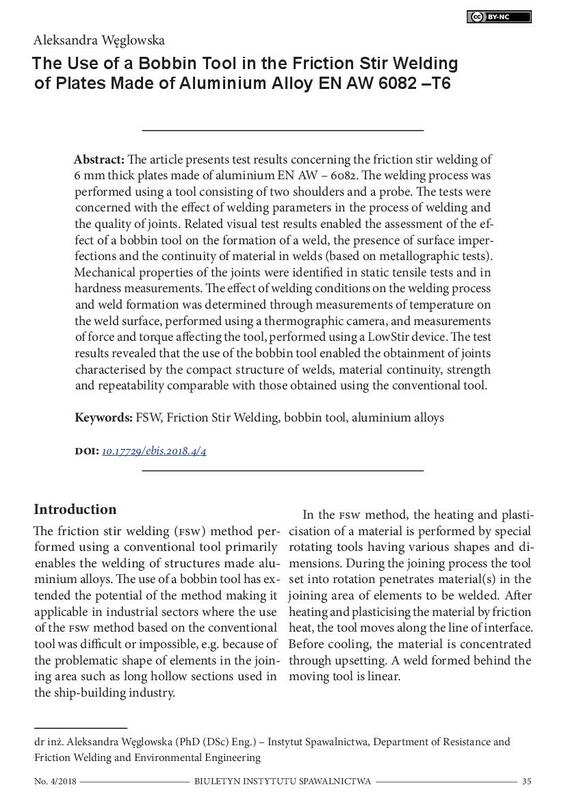 The effect of welding conditions on the welding process and weld formation was determined through measurements of temperature on the weld surface, performed using a thermographic camera, and measurements of force and torque affecting the tool, performed using a LowStir device. 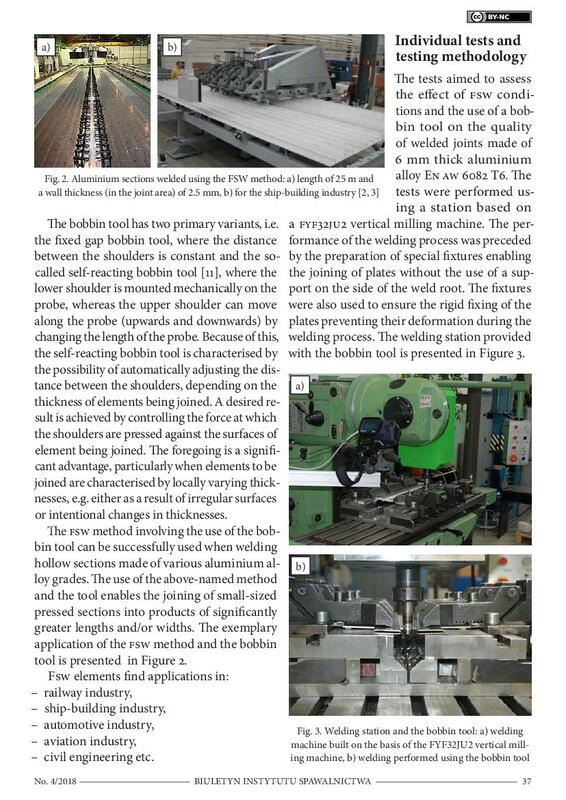 The test results revealed that the use of the bobbin tool enabled the obtainment of joints characterised by the compact structure of welds, material continuity, strength and repeatability comparable with those obtained using the conventional tool.